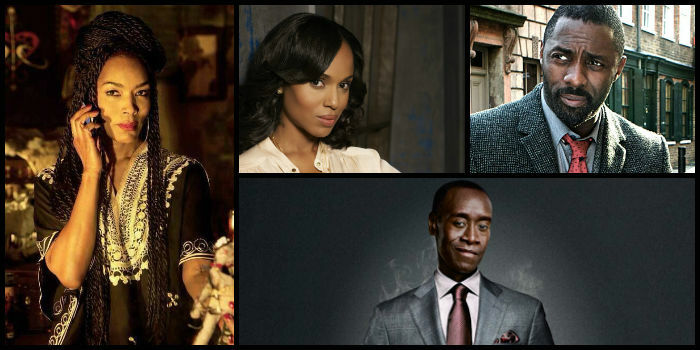 The Emmy nominations were announced last week and some of our favorites made the cut. Kerry Washington was nominated in the Lead Actress in a Drama series category for her portrayal as Olivia Pope on Scandal and Angela Bassett was nominated in the Supporting Actress in a Miniseries category for her portrayal of Marie Laveau in American Horror Story: Coven. Don Cheadle was also nominated in the Lead Actor in a Comedy series for House of Lies and Idris Elba was nominated in the Lead Actor in a Miniseries or Movie category for Luther. Chiwetel Ejiofor was also nominated in the Lead Actor in a Miniseries or Movie category for his portrayal as Louis in Dancing on the Edge. Andre Braugher was nominated in the Supporting Actor in a Comedy series for playing Captain Ray Holt in Brooklyn Nine-Nine and Fred Armisen in the same category for his work in Portlandia. Find a full list of nominees at Emmys.com.